Roseville Townhomes — Northstar Properties of MN, Inc. The Roseville Townhomes feature large 3 level 2 bedroom townhomes complete with finished basements and updated kitchens. 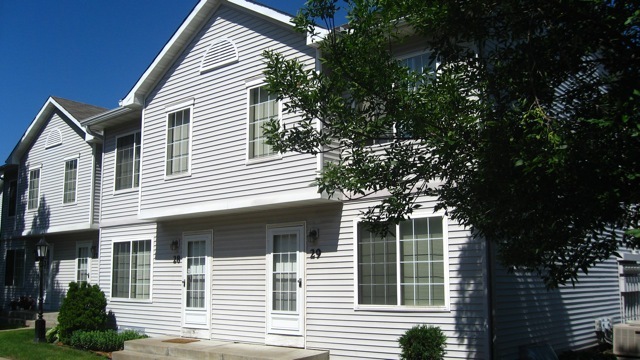 The townhomes have full size washer and dryers along with Central air conditioning and gas forced air heating. Each unit has a detached single car garage along with a reserved parking space. You will enjoy the outdoor pool during the summer months. Our maintenance staff is prompt and courteous. The lawns and landscaping are well maintained by an Expert Landscaping company. You can enjoy your life without the worries of yard work and house repair. We are located south of County Road D and just to the west of I-35W. This location is very convenient to many shopping areas as well as both downtowns. We are in the Mounds View School District. Please call or e-mail for availability as it varies greatly from week to week.